​In the three decades since it earned a place in the C-suite, marketing has changed fundamentally. Is it time to redefine the CMO role? The middle of the 19th century marked the dawn of the “physician scientist.” But new ideas weren’t always welcomed, as Dr. Ignaz Semmelweis learned when he declared: “Wash your hands.” Semmelweis had been charged with analyzing the practices of two maternity wards, one managed by physicians, the other by midwives. He noticed a disturbing trend: The mortality rate of mothers in the physician-run ward was five times higher. After testing a number of hypotheses, Semmelweis came to a now obvious conclusion that the main reason was that physicians regularly conducted autopsies before overseeing deliveries—without first washing their hands. Yet in 1846, roughly 14 years before germ theory began to develop in earnest, Semmelweis had no means of communicating why washing hands was vital to the mother’s health. Unable to justify its importance, without the authority to enact policy, and hampered by poor communication skills (he often berated physicians who did not heed his advice), Semmelweis was fired before he could enact a very simple yet life-saving change. Marketing isn’t a matter of life or death, at least not literally. But chief marketing officers are central to the success or failure of organizations, and here’s where the parallels with Semmelweis resonate.1 Just as he couldn’t explain why washing hands mattered, CMOs often struggle to explain the linkage between marketing activities and financial performance. Just as Semmelweis had the important task of analyzing physician practices but lacked the authority to enforce policy, CMOs often sit at the executive table without the strategic empowerment their position demands. And just as Semmelweis didn’t know how to build support among colleagues, many CMOs struggle to establish the kind of interdepartmental collaborations that can allow them to expand their influence—and value—beyond the marketing organization. The net result is CMOs have the shortest average tenure among all C-suite roles, as they either lose their jobs due to perceived underperformance or become frustrated and move on.2 Many organizations, for their part, suffer the opportunity cost of value not realized due to the CMO’s difficulties in making a meaningful impact on activities across the enterprise. And that cost can be significant: One portfolio analysis shows that stocks of companies where a CMO is part of the top management team—often signaling a corporate-wide, customer-centric focus—netted shareholders significantly higher long-term returns than portfolios lacking CMO emphasis.3 These results were magnified for organizations that had a relatively high R&D and advertising spend. So why are many CMOs struggling? It’s instructive to remember that in corporate terms, the CMO position is relatively new, really only emerging as a C-suite position in the 1980s. In the three decades since, marketing has fundamentally altered: Among other things, the relationship between marketers and agencies has evolved, technology has empowered consumers with more information at their disposal than ever, and the emergence of social media has sparked new channels for informing, winning, and losing customers (and reputations). All of which raises the question: If everything that defines marketing has changed, is it time to redefine the CMO role itself? The good news is that many organizations see the need for CMOs to have an enterprise-wide role, less focused on pure tactics. One reason is the growing realization that, empowered by the information age, consumers are steadily gaining more power in the consumer-business relationship. For many organizations, push marketing is no longer sufficient. Instead, organizations are seeking out ways to engage customers with messaging that better speaks to their needs and values, establishing an ongoing relationship rather than a transactional one. But as with the early physician scientist, this new set of expectations can come with its share of ambiguity. While more CMOs are invited to have a seat at the strategic table, many are struggling to have their voices heard. To investigate why—and to identify ways CMOs might be able to empower themselves—we conducted over 40 structured interviews with a variety of C-suite executives, both within and outside the CMO role. Our findings underlined the potential need for the CMO to be redefined. After all, they made it clear that most senior executives themselves see the need for CMOs to adopt an enterprise-wide mind-set and role. Yet actually making that change can be hard, and we believe it’s a two-step process. First, CMOs should leverage the resources they have to make key changes in the way they interact with other functions (and with the CEO) that can deliver tangible results. This, in turn, will help bolster their case for more authority, responsibility, and resources to consolidate their position and help them execute even more effectively. Relentlessly pursue customer expertise. By positioning themselves as customer experts—and bringing the benefits of that expertise to other functions in the organization—CMOs can trade tactical responsibilities for enterprise-wide strategic influence. Make marketing make sense. CMOs can make their voice heard by translating marketing insights into the language of their C-suite peers, be it financial, strategic, sales-oriented, or talent-related. Establish a “center-brain” mentality. Much has been said about the increasing need for strong data-analytics capabilities in marketing, and rightly so. Yet this should not tempt CMOs to undervalue the creative, right-brain skills that marketers have more traditionally valued. Only by marrying the two can CMOs bring insight and actionable guidance to organizations, and it requires a forward-thinking, strategic mind-set. Understand the whole customer journey. Many marketing organizations already collect vast amounts of data. How can CMOs use that data to understand their customers well enough to inform a differentiated, customer-centric approach—not only for marketing but for the rest of the enterprise? Many might say that analytics is the answer, but they’re likely only partly right. The real value that marketing can bring to the broader organization is data-driven insight. Many marketers already understand that, with the right data-gathering tools and analytics, an organization can use the digital breadcrumbs that customers leave behind to piece together a holistic picture of their experience. Some refer to this process as customer value analytics (CVA):7 bringing together an eclectic set of data (mobile, social, customer attitude metrics such as net promotor score, and even sensor technologies) to map the customer journey from acquisition through retention. The additional step CMOs should take is to recognize that the customer journey involves touch points with parts of the organization owned by functions other than marketing—and put their analytical tools to work to uncover what those functions can do to make those touch points satisfying customer experiences. Unfortunately, while data and technology are generally improving the CMO’s understanding of the customer, too often they are not applying these newfound insights on a grander scale. The CMO Council and Deloitte survey shows that while more marketers are being armed with greater customer insights and technical reach, they are not broadening their applications in kind.8 Instead, they are doubling down on brand and campaign-centric efforts. For example, while 34 percent of CMOs said they are applying these capabilities toward campaign management platforms, only 10 percent said they are using them to improve life cycle management or customer experience management platforms. Potentially worse, too much focus on new capabilities without direct tie-ins to broader organization initiatives can signal to the CMO’s peers that they are not operating on a strategic level.9 To combat this, CMOs should consider each new insight or capability gained as an opportunity to expand the customer reach throughout the organization. Execute strategy through organizational partnerships. With analytical insights in hand, CMOs can have the ammunition to approach other organizational leaders to build a better end-to-end customer experience. After all, regardless of where other functions’ responsibilities fall, a customer angle most likely exists. Making these connections and sharing in the success of a common goal can organically forge a partnership. As one chief human resources officer (CHRO) we interviewed explains, “The CMO needs to be a part of the strategic planning process. If the customer isn’t built through the business strategy then you don’t have a strategy.” CMOs can do their part to ensure that the customer is deeply engrained in the strategy by kindling organization-wide partnerships. If the customer sits at the center of the organization, then so should marketing— in fact as well as in expectation. And these insights do not need to be limited to matters of technological improvement. Instead, CMOs armed with customer insights can use this new clout to advance strategic initiatives across the entire organization—from frontline sales all the way up to the boardroom. After all, who should know more about gaining share of customer than the customer expert? To make sure that a CMO has credibility, they have to be able to know how to talk to other members of the C-suite. CMOs must be comfortable talking to the CFO about P&L and to the CIO about technology needs. Insights and partnerships are necessary but not always sufficient. In order to form a partnership in the first place, marketing leaders should speak the language of their peers across the C-suite, translating marketing concepts and insights into terms that align them with other stakeholders’ objectives. Marketing leaders who can do this effectively are better primed to contribute to organization-wide long- and short-term objectives, as well as to secure the support of the top management team. But to become influential, CMOs may need to position their customer insights and goals not as marketing objectives per se but as ways to help their C-suite colleagues reach their own goals. For instance, instead of declaring, “Doing X will help your function improve the customer experience,” a CMO could tell the top sales executive that “Doing X will help increase sales volume because customers will want more of our product,” the chief financial officer (CFO) that “Doing X will help raise revenue because customers will be buying in greater volume,” and the CEO that “Doing X will help consolidate our lead in market share because customers will choose us over the competition.” The CMO’s goal is to explain in the clearest possible terms how the marketing goal supports his or her peers with their objectives, which can be a much more compelling proposition. CEOs often seek results in the near term from their marketing investments. This can be at odds with marketers who insist that brand equity and customer relationships are long-term endeavors that can take years to groom before realizing cash flows. What should the CEO’s expectations be? Through a multiyear investigation, the Journal of Marketing provided insights into the long- and short-term relationships of marketing investments.13 Analysis of data collected over 15 years in publicly held companies showed how marketing expenditure on long-term initiatives—such as brand equity and customer relationship building—influenced shareholder value and how short-term initiatives—such as promotional activities—impacted return on assets (ROA) performance. Marketing departments forced to make long- and short-term trade-offs saw similar organization-wide financial results. Organizations that prioritize short-term profitability more often achieve a higher ROA but at the expense of long-term shareholder value. Conversely, organizations that invest in customers and brand for the long term increase shareholder value but a short-term dip in ROA. It seems investing in the long and short term is a careful balancing act, with leaning too far one way coming at a price. The research also found a mitigating third scenario: Exceptionally powerful marketing departments (measured by marketing investment relative to peer groups) can reduce the magnitude of these trade-offs. Our research points to sales and finance as two especially important “languages” for CMOs to speak. “The biggest challenge CMOs have is working with sales,” one former CEO said. “Salespeople will often say ‘Marketing doesn’t know the first thing about the customer.’” The reality is it may be less that marketing doesn’t know the customer, and more that it has not applied its insights more globally. This only underlines the need to establish customer credibility and the importance of marketers understanding the sales process and demonstrating an ability to apply their customer expertise to the sales group’s goals. They should, first, reach out to sales to understand its processes and, second, help ensure their teams have individuals with sales experience. Similarly, if the CMO cannot connect customer initiatives to financial outputs such as operating margin and shareholder value—the lingua franca of the CFO and the CEO—the CMO’s agenda may risk falling on deaf ears. Especially if a CEO empowers a CMO with revenue accountability, CMOs need to assure the board that marketing budgets do not become a black box activity. Without concrete analysis, trust erodes. Translating marketing activities into a financial language is often no easy feat. It can require careful thought, planning, and once again, organizational collaborations. For example, brewer MillerCoors’ CMO and CFO dedicate an entire executive role to helping marketing and finance communicate—senior director, marketing finance.15 This position reports to the CFO with a dotted line to the CMO, sitting on both the senior finance and marketing teams. The result? Analysts on the marketing finance team became so deeply ingrained in marketing—and tying their efforts to financial metrics and goals through data and analytics—that they are considered “mini-CFOs” of their individual marketing responsibilities. Though organizational goals may differ, this kind of collaborative approach is a replicable process that marries unique skill sets across the organization to accomplish shared objectives. Surround yourself with people who are better than you are. Don't try to do everything. Build a team with the best skills who have both technical skills and strategic mind-set. At the end of the day, it's about talent. Without a great team, you won't be successful. Marketing has historically been approached as a predominantly right-brained, creative function, and many marketers pride themselves on their intuitive feel for the marketplace. But with the rise of analytics’ importance, some CMOs may be tempted to focus on numbers and data at the expense of these more traditional skills. We would caution that the pendulum should not swing too far the other way. We do not want to completely wash away the emotional connection that marketers cultivate in favor of a left-brained, mechanical marketing function. The challenge and opportunity for CMOs is to cultivate a data-driven mind-set, both personally and within their team, without losing that creative spark. CMOs can take several steps to manage a marketing team that can allow a wide range of expertise and opinions to flourish. A good starting point can be to take an inventory of the skills within the marketing organization. When Visa’s new CMO took over, for example, she assessed the strengths and opportunities of her own team across a number of categories relevant to the goals and objectives of her department.16 This can allow a CMO to identify where gaps may exist and point toward ways to address them—whether through hiring, development, and/or strategic partnerships with other departments. The challenge and opportunity for CMOs is to cultivate a data-driven mind-set, both personally and within their team, without losing that creative spark. Another important step is to enable synergies between the quantitative and the qualitative. For many organizations, this could mean deliberately teaming people with technical and analytical skills with those who have traditional marketing abilities. The goal is to allow people to learn each other’s language and draw on each other’s strengths when solving marketing challenges. It’s critical, too, to cultivate an environment where a diverse set of opinions can be expressed and applied to CMO initiatives. Work to make sure these new, sometimes conflicting points of view have space to grow. After the Bay of Pigs incident in 1961, US President John F. Kennedy learned some on his staff had quiet reservations but felt the need to censor their opinions.17 As a result, Kennedy appointed his brother to act as the devil’s advocate to give room for other ideas to flourish. On the one hand, it can be argued CMOs have been set up for failure. A paucity of direction, communication, or strategic empowerment to bring about change has led to their role definition not only often being ambiguous but in a state of constant flux. In addition, a focus on the tactical details of the marketing function itself can act as a hurdle to CMOs having an enterprise-wide vision, despite that being expected of them. The good news is we’re confident that this need not be the permanent state of things. By using customer analytics and organizational partnerships, by communicating clearly with the C-suite, and by skillfully melding the right brain and left brain aspects of their role, CMOs can take charge of customer insights to not only justify their seat at the board table but to become the strategic counsel their responsibilities and knowledge demands. The nature of marketing has changed. It’s time to reboot the CMO role. 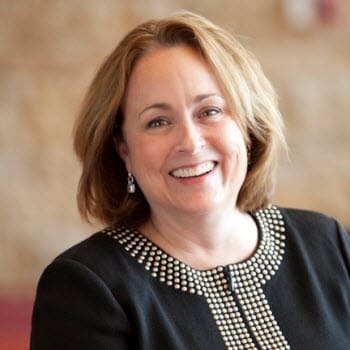 Diana O’Brien is the CMO of Deloitte US and is located in Cincinnati. Jennifer Veenstra is a director with Deloitte Consulting in San Francisco, California, and leads Deloitte’s CMO program. 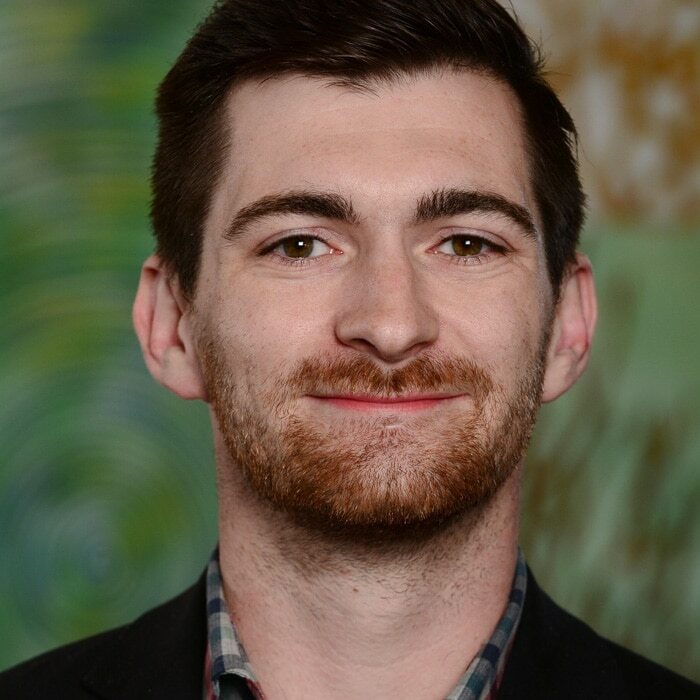 Timothy Murphy is a researcher with Deloitte’s Center for Integrated Research and is located in Milwaukee. Redefining the CMO has been added to your bookmarks. Redefining the CMO has been removed from your bookmarks.